When it comes to being “well-groomed”, there’s a process; a process that can take anywhere from ten minutes to damn near an hour or more (wyd?). 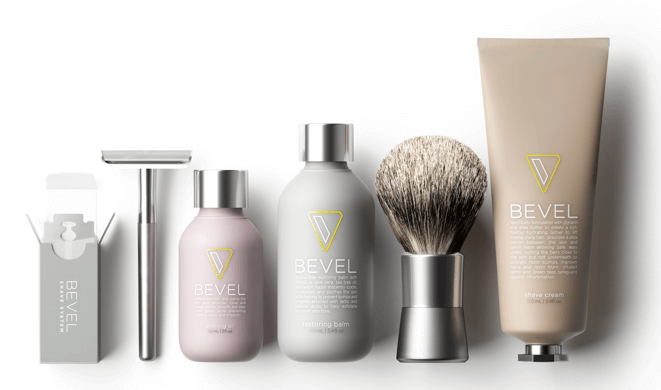 Regardless of how long it takes to nail down your daily look, establishing a go-to system can save you time and money, while still being able to maintain all of the attributes of a well-groomed man. So, here are our seven everyday grooming habits to help keep you looking your best. Scheduling regular visits with your trusted barber, whether for haircuts or shaves, will put you and your hair on a solid routine. 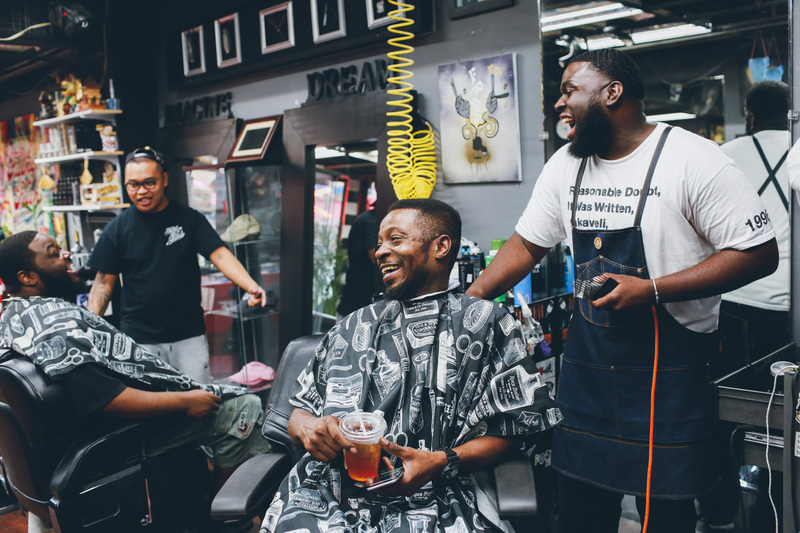 Not only that, the more of a relationship you build with your barber, the more likely he’s willing to help you out with that unscheduled, last-minute cut you need before a special occasion. There’s a lot of hair care products out there, and not all of them are created equal. You may have grown up using the same pomade as pops, but times have changed, and so should the hair care products you use. If you’re unsure about which ones to put into the rotation, ask your barber or even a friend who does hair on the side. Chances are they’ll at least be able to point you in the right direction. Once you’ve found the right combination, stick with it. Every time you change products, your hair and scalp has to adjust, which can end up doing damage in the long run. Persistence and patience is key. You may think that the darker your skin, the less likely you’ll need sunscreen, but intense UV rays can do just as much damage to Chadwick Boseman as it does Blake Griffin. A light SPF 10 or 15 face lotion (or a moisturizer that includes SPF) can do your skin a world of good when added to your daily grooming routine, regardless of the season. You might not have the time (or budget) to ge a fresh cut from your favorite barber every week, so it never hurts to learn how to give yourself the professional-grade shave. Luckily, we have just the tools you’ll need. 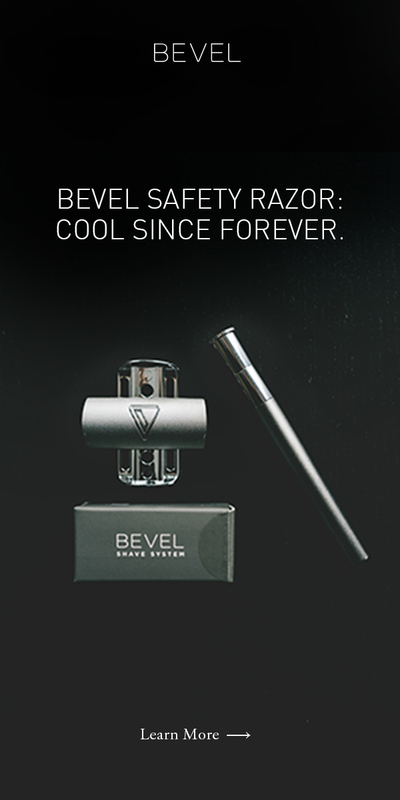 Start with a quality shave oil and be sure to use a clean razor blade every time you shave (but limit it to 2 shaves per blade max, if necessary). This will reduce drag and lessen the risk of skin irritation and razor bumps. Finish with a cold splash of water to close up your pores and that should hold you over until the next time you visit the chop shop. Some people call it “manscaping” or whatever, but making sure any stray patches of hair is important in maintaining a sharp look in between shaves or visits to your barber. 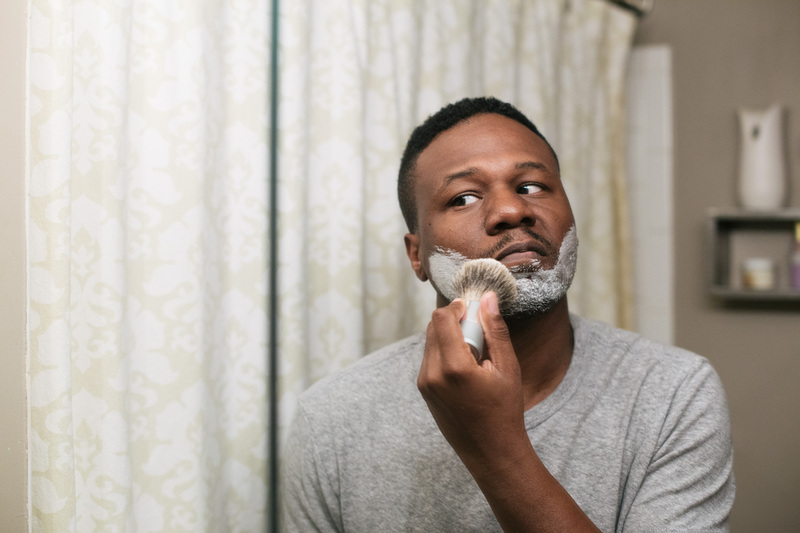 There are razors out there designed to tackle more sensitive areas, but at the very least, make sure to keep your hairlines in check, including around your beard, moustache and even the back of your neck. Whether you have naturally dry or oily skin, you still need to moisturize regularly, although your skin type will dictate the type of moisturizer you use, you’ll need to make sure you find one that has a little sun protection to keep you face safe from the element. Apply a small dab of your preferred product after washing your face in the mornings and you should be good. The skin you’re in goes through a great deal of stress, from sun and wind to dirt, oil and other environmental hazards. 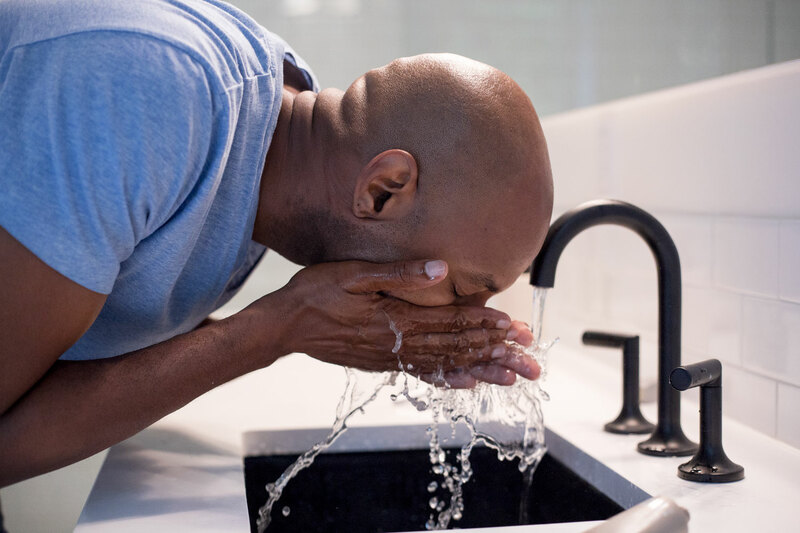 That’s why every night should end with you giving your face a good wash.
A quick splash of cold water will close up your pores, reducing the risk of oil and sweat to accumulate overnight, and then a light face wash to follow up. Skip the moisturizer (unless you’re using a night serum) to give your skin a chance to breathe and your should be good.